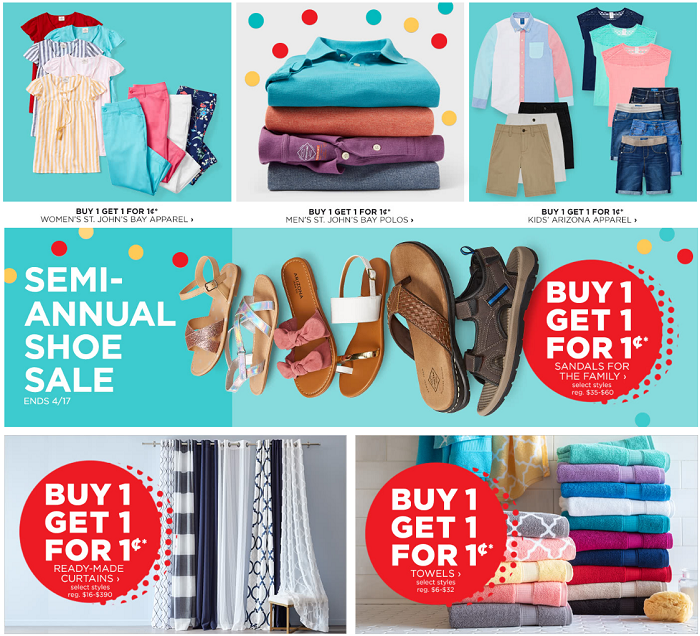 Head over to JCPenney and check out this HUGE penny sale! They have a ton of different items that are on sale for Buy 1 Get 1 for 1¢!! Many items will also qualify for code BIGDEAL3, a 20% off coupon valid through 4/14! Shipping is $8.95, or free on orders of $99+. You may also be able to select free same-day pickup on any size order or free ship-to-store on orders of $25+. Orders under $25 will have a $3.95 charge to ship to the store.